LiLash - is it really magic juice for your lashes? 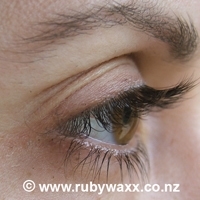 LiLash eyelash serum – available at Rubywaxx, Auckland. Used daily for 4 – 6 weeks, this magic conditioning serum will give the appearance of the longest, fullest lashes you have ever had. Just like Magic! LiLash is applied daily as you would a normal liquid eyeliner. Be patient and in about 4 to 6 weeks your follicles will be conditioned to absolute beauty. 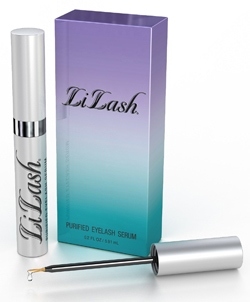 LiLash is the world’s most powerful and fastest-acting eyelash conditioning serum. The no-salt, non-irritating formula sets LiLash apart from all other products. LiLash is a favourite of eyelash extension wearers who notice better support and less lash breakage. Nothing is sexier than gorgeous, dramatic eyes. Now your own, conditioned real lashes are the ultimate accessory. Start using today and luxurious lashes will be yours, with the highest quality, fastest-acting follicle conditioning serum ever developed. LiLash + your short, brittle lashes = extreme eyelash magic. Experience the single most important cosmeceutical product of its kind. LiLash gives you the ultimate in conditioning, that magic means twice the lash in half the time. Every day you will use less mascara and have the appearance of more lashes. This is the perfect eyelash conditioning serum! It’s that easy. Physician formulated, LiLash Purified Conditioning Serum is the latest innovation in cosmetic science. It is the purest and least irritating eyelash conditioning serum and for even the most sensitive eyes. Try the fastest-acting and highest-quality cosmeceutical eyelash conditioner today. LiLash fans and doctors agree, it gives you longer appearing and thicker lashes like nothing else available. What’s the secret to long eyelashes? Our incredible Lash Enhancing Factor, that’s the Magic. Use LiLash daily as instructed and within weeks your conditioned follicles will give the appearance of dramatically longer and fuller eyelashes. This is the most powerful product for eyelash follicle conditioning. LiLash is non-irritating. Your eyes are the most sensitive part of your face. Why then would you use messy, toxic glues or lumpy, flaky mascaras anywhere near them? Do you even know what is in those expensive “serums” and “enhancers” that promise longer lashes? With LiLash Purified Eyelash Serum, you can trust that our formula is physician tested, safe and effective. Say goodbye to the annoying irritation of other eyelash conditioners for good. We know you love your extensions. Sometimes you just don’t want to give them up. What you don’t love is all the natural lash breakage. No lashes are no fun. 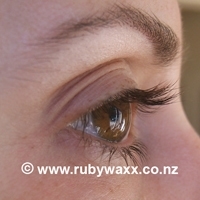 With Lilash your follicles are conditioned to the extreme and real lashes will be stronger. Just like magic. Many extension wearers who use Lilash report much less lash breakage as well as better eyelash extension support. So go ahead and enjoy your fake lashes while still keeping your real ones with Lilash! Judge for yourself! 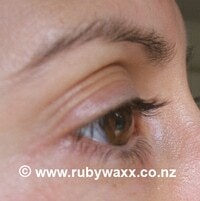 A Rubywaxx client has given us these photos she took before and during LiLash use. No other eyebrow conditioning serum on the market uses true cosmeceutical technology to give you full bold brows. Use the unique applicator to apply LiBrow daily to the skin in areas where your eyebrows need the most help. Patchy uneven brows and weak over-plucked arches will all benefit from LiBrow’s unique conditioning technology. LiBrow is the second chance you never thought your brows would get! In 3 to 4 months of regular use watch your brows pop! It’s just like magic! A patented botanical tinter will accentuate the natural colour of your brows for an even bolder look. Try LiLash and LiBrow today! LiLash and LiBrow are both available to buy online from us. PS. Once you’ve LiLashed your eyelashes, you can make them even more dramatic with an eyelash tint ($35) and an eyelash perm ($80). You’ll never have to wear mascara again – you’ll be looking great all the time! Prices are subject to change without notice. Products are stocked subject to availability.